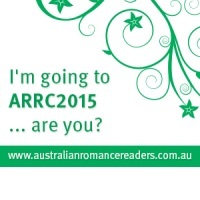 Here is the next in our series about the panel sessions at ARRC2015. You can find further details on the convention, including the full program and registration links here. Do you love alpha heroes? Do you love poker? Have you ever tried to combine the two? Well author Kelly Hunter has, and the result was alpha hero poker, as first played at the Love Letters Convention in Berlin. Kelly has very graciously agreed to update the game and bring it to ARRC2015. She will be aided by authors Amy Andrews, Anne Gracie, Annie West, Barbara Hannay, Keri Arthur and Rachael Johns, who will each be a dealer at one of the poker tables. There will be trivia questions, there will be poker hands, there will fun and laughter and prizes. If you don’t play poker, don’t panic. Kelly will run through how to play at the start of the session. The poker will be a very simple five-card draw with no betting involved. Instead Kelly will ask questions along the way and players must answer correctly in order to get a card. There will only be 42 spots for readers at this event, so be sure to sign up at the registration desk as soon as you arrive! Accidentally educated in the sciences, Kelly Hunter didn’t think to start writing romances until she was surrounded by the jungles of Malaysia for a year and didn’t have anything to read. Eventually she decided that writing romance suited her far better than throwing sterile screw-worm flies out of airplane windows, and changed careers. Kelly is a USA Today bestselling author and has won several fine and fabulous romance writing awards, including the ARRA’s Favourite Short Category Romance Award (three times!). Kelly loves writing to the short contemporary romance form. Amy Andrews is an award-winning, bestselling Aussie author who has written 40+ contemporary romance novels across both traditional and digital platforms. She loves good books, fab food, great wine, frequent travel and HEAs. She lives on the outskirts of Brisbane with a gorgeous mountain view but secretly wishes it was the hillsides of Tuscany. Melbourne author Anne Gracie started writing her first story while backpacking solo around the world. Now a full-time writer working on her 18th book, her Regency-era historicals are published by Berkley USA and Penguin Australia. A national bestselling author in the USA, her books have garnered many awards, have been translated into more than sixteen languages, and include Japanese mangas, which she thinks is very cool. Annie West is the author of 25 contemporary romances (published primarily with Harlequin Mills & Boon) as well as a number of novellas and short stories. She’s been a regular finalist in ARRA awards and has won several other awards, including the Romantic Times Reviewers’ Choice. Her books are popular around the world, and she’s a USA Today bestselling author. She lives at Lake Macquarie on the NSW coast between the ocean and the lake, and within reach of the Hunter’s fabulous wine region. Barbara Hannay was first published in 1999. Since then she has written over forty books for the Harlequin Romance (Mills &Boon) Sweet line. She has also published three single title novels with Penguin Romance. Her novels have earned her five RITA nominations and she won a RITA in 2007. She is also the recipient of two R*BY awards and has been nominated for three ARRA awards. Barbara lives with her husband on a misty hillside on the Atherton Tablelands in Far North Queensland. Keri Arthur has been writing for longer than she cares to remember, but has been published since 2000. She currently has 32 novels out, including the New York Times bestselling Riley Jenson series. She lives in Melbourne, Victoria. Rachael Johns is an English teacher by trade, a mum 24/7, a supermarket owner, a chronic arachnophobic, and a writer the rest of the time. She writes contemporary romance for Harlequin, Tule Publishing and Loveswept–everything from gorgeous farmers and hot cowboys to tortured ex-biker dudes. Rachael lives in rural Western Australia with her hyperactive husband and three mostly-gorgeous heroes-in-training, and at last total had eleven books published.